There are 2 coupon inserts in today’s paper. Want to know what coupons are in them? Click here for a list. Don’t get the Sunday paper? Right now, Groupon has a deal for 20 weeks of the Sunday Times Union delivered for just $10! Printable Price Chopper coupons found here (or in the circular). $5 off a $25 purchase coupon (via Facebook). 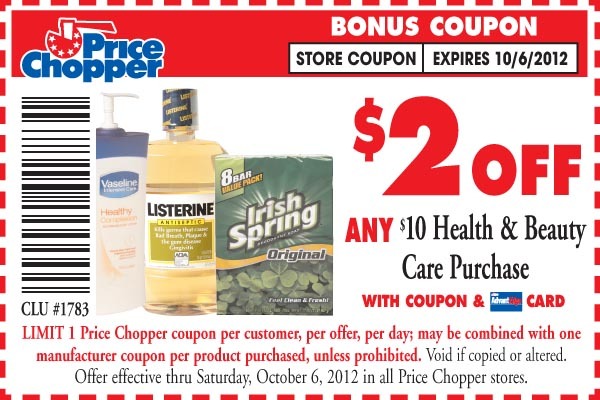 – Also accepted at most Price Chopper’s as a competitor’s coupon. Get one FREE when you use this coupon at Price Chopper or ShopRite! Get 3 for $1.50 total when you use this coupon at Price Chopper or ShopRite!